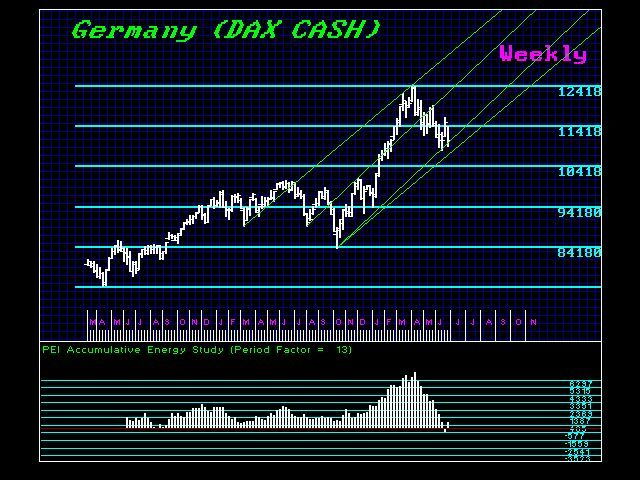 In the DAX Cash, we did elect two Weekly Bearish Reversals from the high of the week of April 6. The next key area of support lies down at the 938000 level. Next week is a Directional Change so we could see a bounce back into the week of July 20. The critical support begin at the 921900 level and a Monthly closing beneath this are is necessary to signal a continued decline. We need to see a weekly closing back above 1145300 to signal a retest of the April highs is underway. Here too, we also see October as the key target ahead for an important turning point.